A Philadelphia Property Management Company should be any Philadelphia real estate investor’s first stop, after purchasing the property. Why? 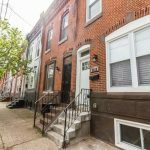 A Philadelphia Property Management Company’s main goal is to make you more profitable, while completely eliminating the hassles which are associated with investment property ownership. 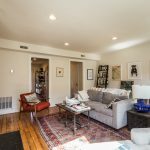 Not convinced that a Philadelphia Property Management Company is absolutely necessary, and will in fact make your MORE money in the long run? Well, read on. Timed and targeted professional marketing – It’s important to have awesome pictures and a killer description of the property in your advertisements, but there’s something which is even more important….timing! In our experience, as a Philadelphia Property Management Company, we find that ideally properties should be listed 60-90 days prior to becoming vacant. This allows adequate time to locate a suitable renter, before the unit goes vacant. Vacancies = lost revenue. Professional and competent maintenance staff – A good Philadelphia Property Management Company will have a skilled maintenance staff which can respond to issues (which inevitably will arise) quickly and efficiently. Have you ever experienced a handy man or contractor who spends the entire day trying to fix a simple issue? Or maybe he rushes through a job and has to fix it multiple times? This is exactly what you WON’T need to deal with if you hire a competent Philadelphia Property Management Company. This keeps your tenants happier, and in your property paying rent for longer. Maintenance service billed at COST: As if the above competent service wasn’t enough…we don’t mark it up a single cent. This is a rarity in the Philadelphia Property Management Company community – most want to charge a fee on top. We pledge transparency to our clients, and it’s difficult to be transparent when you are tacking miscellaneous fees on top of service calls. When you sign on with our Philadelphia Property Management Company, you get a skilled maintenance team for bargain basement prices – the best of both worlds. Accurate financials and bookkeeping – If you’ve been a landlord for a while, operating without a Philadelphia Property Management Company, you may have had the unfortunate experience of dealing with an eviction. If so, you know the importance of keeping detailed and accurate books. You don’t want to show up to court with an illegible or outdated tenant rent ledger. A Philadelphia Property Management Company will keep meticulous books and report cash inflows and outflows on a monthly basis, along with your rent remittance. Having expenses accurately tracked is certainly going to save you, come tax time. 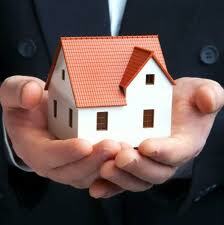 Contact JG Real Estate today to discuss your need for a Philadelphia Property Management Company! Check out blog for content which is valuable to the Philadelphia Property Management Company community. Take a look at our Philadelphia Property Management page which discusses the above, but goes more in depth.